Our Vision: To see the body of Christ revived by making disciples to impact cities and transform the nation. Time to Revive, the ministry behind reviveMISSISSIPPI, has traveled to 13 states since 2007, uniting the Church and equipping the saints to share the Gospel and make disciples. Time To Revive is actively equipping the saints for Jesus’ return by uniting and praying alongside believers for personal and corporate revival, and training them to boldly declare Jesus in their communities. We believe that when the Church starts living and declaring the pure message of the Gospel in unity, a city, and even a nation can be revived for His glory (John 17:23). Kyle's passion to bring personal and community awakening to the nation began during his undergraduate studies at Taylor University in Upland, IN. He graduated with a degree in Business Administration and went on to earn a Masters in Biblical Studies from Dallas Theological Seminary. He completed his Doctorate degree at Gordon-Conwell Theological Seminary, specializing in Outreach and Discipleship. Kyle’s unique desire is to engage people with the Gospel directly in their own environment, as well as through media and public speaking. He believes there is hope for the nation, and it begins with prayer, as well as stepping out into the community to share the Gospel of Jesus Christ. Since the Dallas Revival in 2007, he has seen individuals, congregations, and communities transformed by the Holy Spirit. His affection for Ace Hardware has caused many detours in his team’s travels. When he isn't traveling, Kyle can be found having fun with his family. 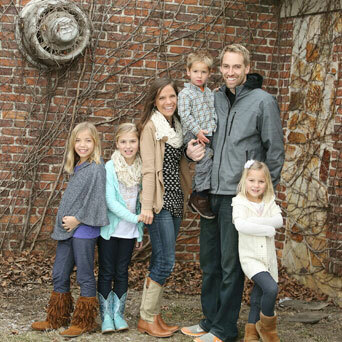 He is a loving husband to Laura, and devoted father to their four children: Maya, Nadia, Selah, and Jude.